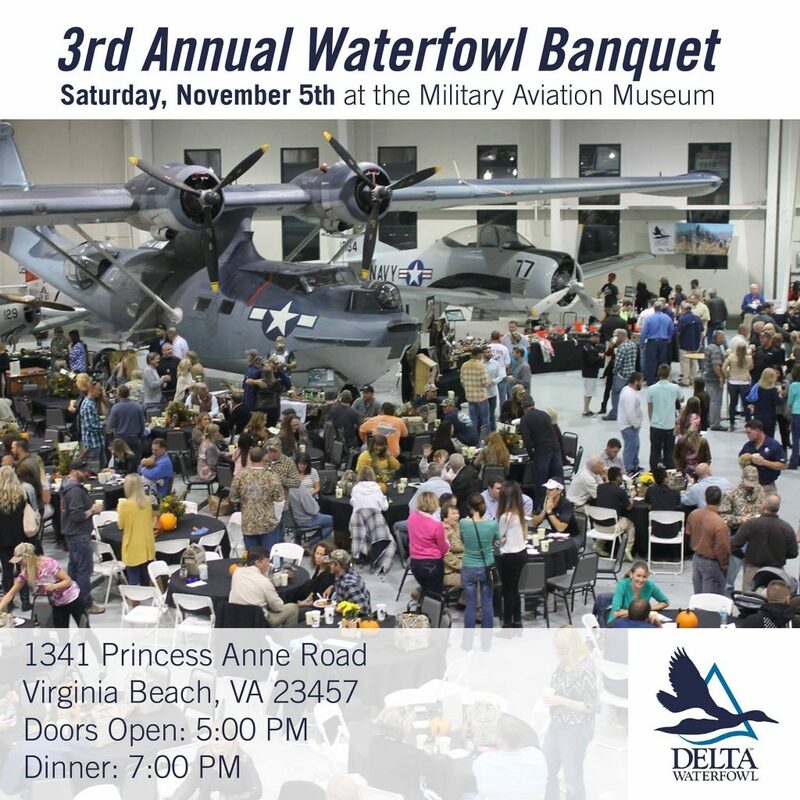 Join us for our 3rd Annual Waterfowl Banquet on Saturday, November 5th. The event will begin at 5:00 PM at the Military Aviation Museum. Proceeds will go to Delta Waterfowl and protecting our Atlantic Flyway. This event is hosted by Delta Waterfowl Back Bay Chapter. For more information on how you can be a sponsor contact Mark Malbon at 757-409-9590 or by email at markm9590@aol.com. Visit the official event page on Facebook.